Your competition is a distraction. It happens a lot. In fact, just last week, a customer sent me one of their competitor’s emails. My client wanted to know if I thought they should re-think their marketing strategy and copy this new approach. In a word, no. Yet, a lot of businesses think this is the best way to put together a marketing strategy. So let me tell you why it’s not. 1) You are not your competitor. What works for your competitor may not work for you. If they have been around awhile and you are brand new, I can guarantee that what works for them will fail for you. Let’s say they are a well-established competitor. In that case, they probably have backlinks on Google going way back before anyone else was even in the field. That means they will have more domain authority and find it easier to rank higher on searches. They will also have good name recognition. If they are the big player in your niche, they are the ones people have heard of. And, if an organization decides they need that niche product, they will think of your competitor first. So, with all those differences, copying your competitor’s campaign is not going to give you the same results. 2) Your customer is not your competitor’s customer. Your competitor’s perfect customer is different from your perfect customer. If you copy their campaign, you will be talking to their perfect customer, not yours. This is not a good idea. 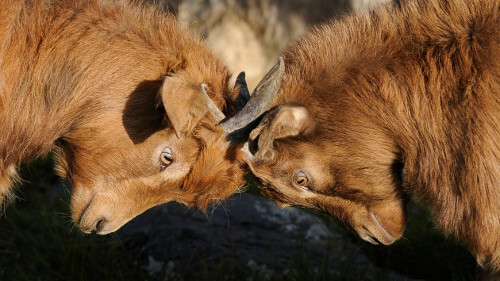 I realize that it can seem like your customers are exactly the same, especially if you often go head-to-head with them. But there are differences – and you need to find them. You have different capabilities or a whole new worldview. You may even find that the influencers and evangelists that help you close a sale are different from the ones your competitor cultivates. Since you are different and your influencers are different, your marketing needs to be different. 3) You have no way of knowing if that campaign is even effective. It is so easy to assume that, just because someone did it, it’s working. But that’s not the case. Even your biggest competitors may not know which campaigns work well for them. In fact, a lot of them likely run their marketing department based on habit. “We always do this” or “we’ve always done that” – often without ever measuring their results. If they are a formidable competitor, they may assume it’s working when it really isn’t. Instead, it could be due to their name recognition or partnerships with key players. So, always remember: you have no way of knowing whether your competitor is actually getting a good response from any given campaign. Does it still sound like a good idea to copy your competitor? They have a different position in the marketplace, a different target audience and, for all you know, may not even be getting any traction from that campaign. When put like that, it doesn’t really sound like such a good plan, anymore, does it? Do your market research and figure out what sets your company apart. and your competitor’s campaign will never be able to do that. Build campaigns based on what sets you apart. Every piece of content you put out, from your website to your emails, needs to set you apart. If you’re not sure how to do that, I can help. 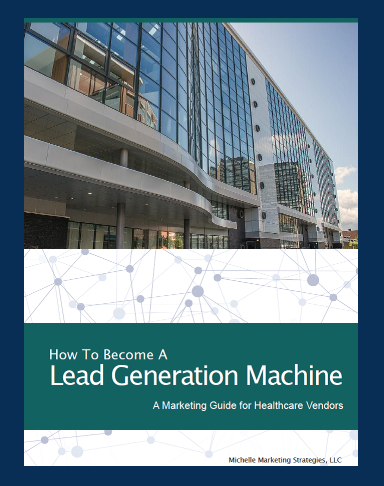 Download my free ebook, How to Become a Lead Generation Machine, and pay special attention to Chapters 3 and 4. It will get you pointed in the right direction.